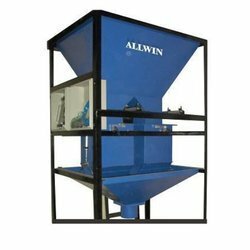 Pioneers in the industry, we offer check weigher, bag filling machine, online weight checker, industrial checkweigher machine, tank weighing system and automatic drum filling machine from India. 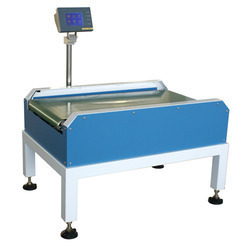 This machine is suitable for weight inspection of already packaged goods, it displays the weight of the goods and eliminates automatically the unacceptable goods. Automatic zeroing and out-of-tolerance alarm. One bidirectional communication ports RS-485/RS 232 communication for data logging. 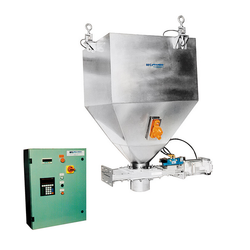 We, at EAGLE are well-versed with changing market trends and have the capabilities to design, develop, and manufacture bag filling machines that suit to varied industrial applications. 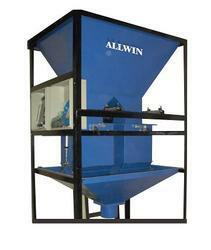 These bag filing machines are used to fill granules/powders in bags. 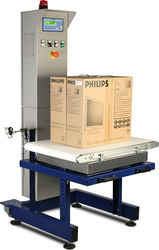 Their unique designs make them suitable for production in large scale packaging lines. 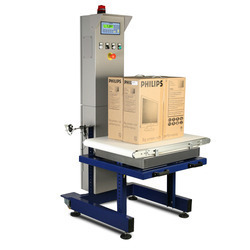 We offer bag filling machines with many features some of them are listed as below. Rice, Wheat, Pulses, Granules, Powder, Chemicals etc. We are instrumental in giving our customers an exhaustive range of Online Weight Checker. Supported by a group of masters, these weight checkers are designed utilizing quality guaranteed crude material and development innovation by our able experts. Our offered extent is accuracy outlined, keeping in mind the end goal to meet the universal measures. Moreover, these weight checkers are accessible in a few sizes and other related details, according to the changed needs of our important customers. Our extent is stringently tested on a few parameters to guarantee it on checks of value. With a yearning to bond our notoriety in the business, we are occupied with offering an astounding range of Industrial Checkweigher Machine. Remembering current business sector improvement, these weighers are made by our qualified experts utilizing quality guaranteed crude material and modernize devices. Notwithstanding this, our quality controllers perform an arrangement of test on the whole assortment guaranteeing its faultlessness. Customers can get the offered weighers from us at nominal prices. 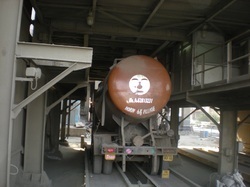 Eagle Scale is one of the leading Manufacturer of Tank Weighting Systems. It is one of the experienced exporters of Tank Weighting Systems. 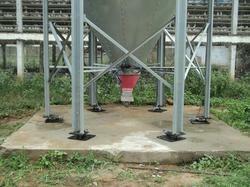 Tank weighing system normally consists of load cells, junction box and weighing controller. It is widely used in production management and process control areas where weight measurement & control is involved. The general idea of tank weighing is to place load cells under each foot of the tank/hopper/vessel, then connects the load cells to a weighing controller through a junction box which is used to compensate the signal difference of the load cells. The weighing controller is able to display the weight value after the system is calibrated, the indicator is equipped with relays output, 0-5V/0-10V/4-20mA analog output and communication port for automation control purpose. Accuracy--Different weighing applications have different requirements of measuring accuracy. Capacity-- Uneven load distribution should be considered when choosing load cell capacity. Before calibration, corner trimming is needed, which can be done through junction box, the point of corner trimming is to make sure every load cell gets the same output under same load, so the weighing system will get the same readout even though the weight is distributed unevenly. In light of the abilities of our talented experts and imaginative specialists, we deliver a far reaching range of Drum Filling Machine. Because of gimmicks like dimensional precision, toughness and simple establishment, the offered filling machines are broadly requested in the business. A group of our skilled experts with hard-earned experience design the offered range utilizing quality guaranteed crude material and the most recent innovation. 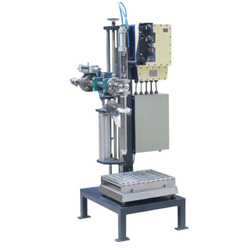 Our firm represents considerable authority in offering a superb range of Liquid Filling Machine. 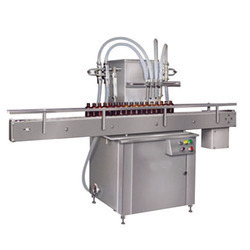 This inventive range of filling machines is broadly requested in a few commercial ventures for gathering various provisions. To keep up industry characterized quality principles, the whole range is designed utilizing quality demonstrated crude material and most recent innovation. Likewise, the whole extent is inspected legitimately by our quality controllers upon different parameters of value. Weighing of cement is a combination of using correctly dimensioned cement screws and a high quality weighing system. We offer cement weigh hoppers of many sizes, from 130 kg to 1800 kg. All our cement weigh hoppers are supplied from the our factory with all components installed, such as valves, turning gate, air filter, connection box, indicator and inductive limit switch for indication of gate open/closed. The weigh hopper has a band for the suspension of control weights. The hopper is to be mounted and suspended by one tension load cell. Our cement weigh hoppers can be used for all systems and can be bought as one unit..
Eagle Scale is one of the leading Manufacturer of Hopper Weighing Systems. It is one of the experienced exporters of Hopper Weighing Systems. 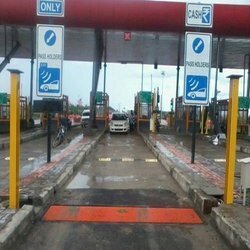 We offer a range of Computerized Truck Weighbridge, which is popular for its sturdy construction and fully electronic & computerized operations.